New Relic is a software service that helps you manage your cloud environment, I use it here for this server and for many of our cloud servers on AWS and RackSpace. But we recently reenabled it for this site and when we did, the AMP errors on this site skyrocketed. 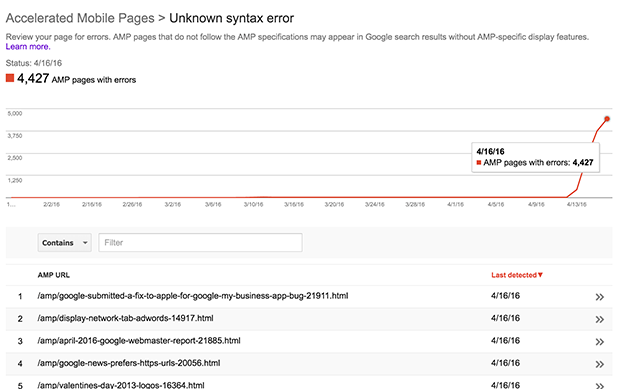 At first, I didn't put two and two together and I wasn't sure why my AMP errors spiked in Google Search Console. 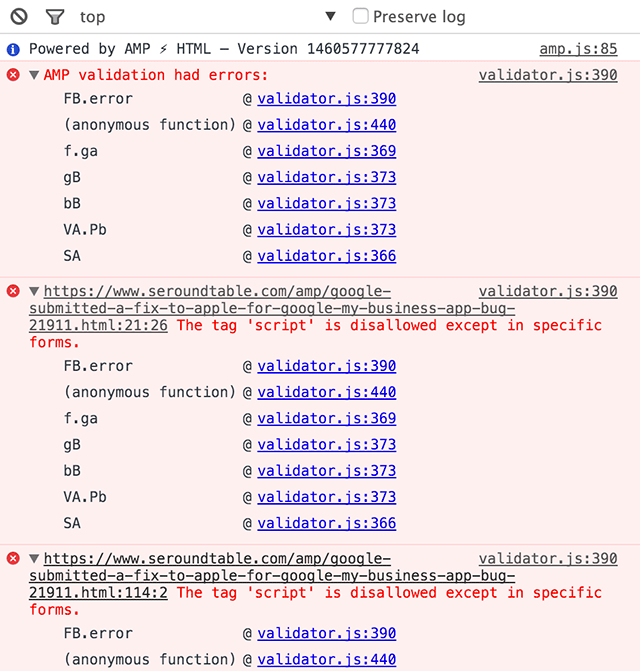 But after our engineers dug into it, we learned that New Relic cannot be enabled on your AMP pages. I assume over the next several days the AMP errors will go away. Forum discussion at Stack Overflow and New Relic Forums. Update: New Relic now has a document on how to handle this over here. Previous story: Should Google Penalize Google Play Podcasts For Link Schemes?